A respected surgeon, Vietnam veteran, and internationally sought speaker, Dr. Delos Cosgrove served as CEO of the Cleveland Clinic, one of the top medical facilities in the country, for over a decade. Cosgrove cut the Cleveland Clinic's costs by almost $1 billion while growing its international reputation and satisfaction scores among employees and patients alike. Cosgrove helps audiences of all walks understand concrete actions that we can take to make healthcare in the U.S. more efficient, more effective and more affordable. 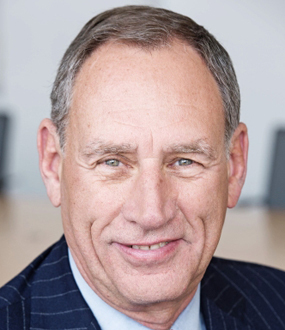 As former President and CEO of the Cleveland Clinic Delos Cosgrove, MD, was responsible for a $5 billion healthcare system encompassing twenty-eight different institutions. He cares passionately about patient care and patient experience and has undertaken major reorganizations within his company to improve clinical services. He has also initiated major programs to improve wellness amongst patients, employees and communities. A graduate of the University of Virginia School of Medicine, Dr. Cosgrove is a Vietnam veteran, having been a U.S. Air Force surgeon; he holds the Bronze Star and the Republic of Vietnam Commendation Medal. A member of the team at Cleveland Clinic since 1975, Dr. Cosgrove became chairman of the Department of Thoracic and Cardiovascular surgery in 1989, running a program that was rated as the best in America for over a decade. Dr. Cosgrove has authored one book and contributed chapters to many others, published nearly 450 journal articles and made seventeen medical education films. The experience he has gained in performing more than 22,000 operations has given him an international reputation for expertise and innovation in cardiac surgery. He holds thirty patents for products to be used in surgical environments. Much in demand throughout the world as a speaker, Dr. Cosgrove has addressed the World Economic Forum and the Senate Health, Education, Labor and Pensions committee. National media frequently seeks his opinions; he has been featured in a TIME magazine cover story and in prominent articles in Newsweek, the New York Times and the Washington Post. He has frequently appeared on television, including on CNN, Fox, MSNBC, NBC, CBS and PBS. Dr. Cosgrove has been honored many times throughout his career as an innovator, clinician, and humanitarian. Recent honors include the Deming Cup and Horatio Alger Award. He is a 2016 Fortune Businessperson of the Year (#14), and has topped Inside Business’s “Power 100” listing for Northeast Ohio. 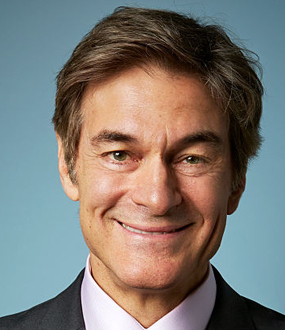 He is highly ranked among Modern Healthcare’s “100 most powerful people in healthcare” and “most powerful physician executives,” and is an inductee of the Cleveland Medical Hall of Fame. 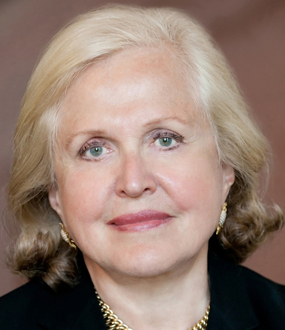 As former CEO, Dr. Cosgrove presided over a $8 billion healthcare system including the Cleveland Clinic main campus, 10 community hospitals, 18 family health and ambulatory surgery centers, Cleveland Clinic Florida, the Lou Ruvo Center for Brain Health in Las Vegas, Cleveland Clinic Toronto, Cleveland Clinic Abu Dhabi and Cleveland Clinic London (opening 2020). His leadership has emphasized patient care and patient experience, including the re-organization of clinical services into patient-centered, organ and disease-based institutes. He launched major wellness initiatives for patients, employees and communities. Under his leadership, Cleveland Clinic has been ranked the #2 hospital in America (U.S.News & World Report) and is one of only two hospitals named among “America’s 99 Most Ethical Companies” (Ethisphere Institute). Dr. Cosgrove received his medical degree from the University of Virginia School of Medicine in Charlottesville and completed his clinical training at Massachusetts General Hospital, Boston Children’s Hospital, and Brook General Hospital in London. His undergraduate work was at Williams College in Williamstown, Mass. He was a surgeon in the U.S. Air Force and served in Da Nang, Republic of Vietnam, as the Chief of U.S. Air Force Casualty Staging Flight. He was awarded the Bronze Star and the Republic of Vietnam Commendation Medal. Joining Cleveland Clinic in 1975, Dr. Cosgrove was named chairman of the Department of Thoracic and Cardiovascular surgery in 1989. 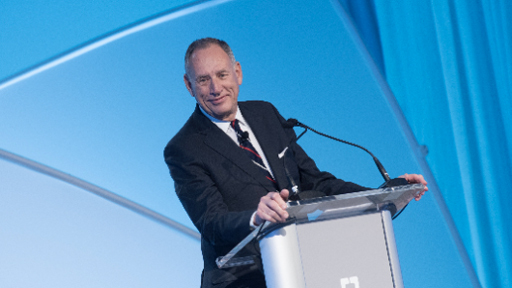 Under his leadership, Cleveland Clinic’s heart program was ranked No. 1 in America for 10 years in a row (U.S.News & World Report). In 2014, Dr. Cosgrove authored The Cleveland Clinic Way: Lessons in Excellence from One of the World’s Leading Health Care Organizations, which takes an in-depth look at today’s healthcare system. It describes the eight trends shaping the future of medicine in this country to be more efficient, more effective and more affordable than it is today. The book acknowledges the challenges facing the industry but takes a “strongly optimistic” view of what lies ahead by illustrating how the Clinic is helping to shape the future of medicine by working toward one goal: putting patients first. Dr. Cosgrove is a sought-after speaker worldwide. He has addressed the World Economic Forum Annual Meeting at Davos, Switzerland, and the Senate Health, Education, Labor and Pensions Committee, in Washington, D.C. 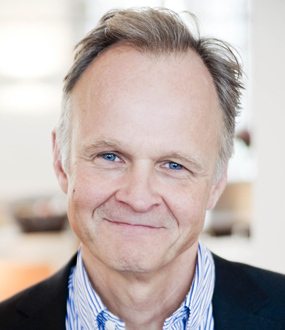 He is regularly quoted and featured in national magazines and newspapers, including a cover story in Time, and major articles in Newsweek, The New York Times, and The Washington Post. He has appeared on CNN, Fox News, MSNBC, NBC, CBS, “The Charlie Rose Show” on PBS, and other national media outlets. Dr. Cosgrove was elected to the National Academy of Medicine (2013). He is a fellow of the National Academy of Inventors (2015) and Castle Connolly National Physician of the Year. Recent honors include the Deming Cup and Horatio Alger Award. He is a 2016 Fortune Businessperson of the Year (#14), and has topped Inside Business’s “Power 100” listing for Northeast Ohio. He is highly ranked among Modern Healthcare’s “100 most powerful people in healthcare” and “most powerful physician executives,” and is an inductee of the Cleveland Medical Hall of Fame. Dr. Cosgrove has been consulted by successive presidential administrations, serving on the Veterans Administration Commission on Care (2015) and the current White House Strategic and Policy Forum. “I've had thirty-seven separate one-year contracts at the Cleveland Clinic" Dr. Cosgrove explains the innovative structures in place for the Cleveland Clinic group which ensure that the best patient care is delivered in the most efficient manner. 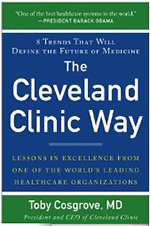 The Cleveland Clinic Way is a refreshingly positive and practical vision of health care, which is essential for any health care or business executive, medical professional, industry analyst, or policymaker to understand. Dr. Cosgrove gives leaders lessons they can apply in their own organization to achieve results, and empowers average Americans to make more informed health care decisions. Probably the most important thing that they take away is a better understanding of where we are in healthcare and where we’re headed in the future. SPEAKING.COM: What would you like people to learn and take away from your presentations? COSGROVE: Probably the most important thing that they take away is a better understanding of where we are in healthcare and where we’re headed in the future. If I can give them some insight into that and into the lessons that I’ve learned over time, then I see that as an accomplishment. 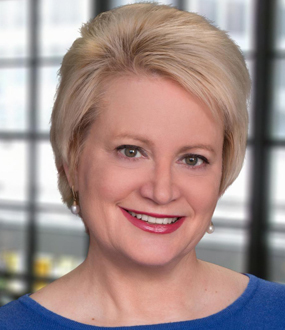 COSGROVE: I think healthcare leadership is probably the one group that will benefit the most from my talks, but keep in mind that healthcare is the biggest industry in the United States, so it touches almost everybody. That being said, I’ve spoken to wide range of groups and try to tailor my remarks to fit the type of audience. I’ve spoken to Congress, the Business Roundtable, Davos, business schools, lawyers, healthcare professionals, educational groups, and on almost every national television network. SPEAKING.COM: Which of your keynote speaking topics are your favorites? COSGROVE: I prefer to do an interview format because I think it’s more interesting for the audience. The interviewer can direct the questions in a way that they think will be most beneficial to the audience, and I prefer to spend time answering questions that attendees have on their minds. I always tell people that nothing is off limits. I’ll talk about anything the audience wants to talk about. SPEAKING.COM: What types of themes and topics do you like to address on stage? COSGROVE: I always tell people that nothing is off limits. I’ll talk about anything the audience wants to talk about; some frequent topics I’ll address include addiction, finance, the patient experience, leadership and healthcare, and more specifically, the trials and tribulations of leading an organization and how you prepare to manage that. SPEAKING.COM: Have you had any particularly memorable speaking engagements or unusual situations arise while you’ve been traveling? “No, Diana, I don’t,” I replied. I didn’t follow that up with any other questions, because I knew that anything I said after that would only get me into trouble. What's driving healthcare costs in the U.S.
How group practices provide better care at lower costs. Technologies that can revolutionize health care quality and prices. "The cost in the United States is up substantially to 18-plus percent moving toward 20%. In comparison, in the most high cost European countries, healthcare spending makes up 11 to 12% of the GDP. " This is the future. Join the revolution. Transform your organization the Cleveland Clinic way. American healthcare is in crisis. It doesn’t have to be. There’s a revolution going on right now. On the frontiers of medicine, some doctors have developed an approach for treating people that is more effective, more humane, and more affordable. It’s an approach to healthcare that has captured the attention of the media and business elite—and the President of the United States. It’s all happening at Cleveland Clinic, one of the most innovative, forward-looking medical institutions in the nation. At its core is Cleveland Clinic’s emphasis on patient care and patient experience. A refreshingly positive and practical vision of healthcare, The Cleveland Clinic Way is essential reading for healthcare and business executives, medical professionals, industry analysts, and policymakers. It gives leaders lessons they can apply to their own organizations to achieve results and empowers average Americans to make more informed healthcare decisions.